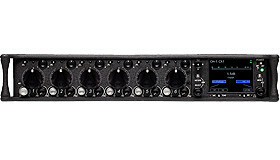 A portable audio powerhouse that incorporates multi-channel mixer, auto-mixer, recorder plus optional SL-6 integrated powering and wireless system. 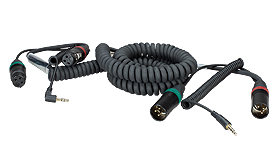 By consolidating these functions, cabling requirements are significantly decreased, de-cluttering the sound mixer’s bag, increasing reliability and improving ease of use. 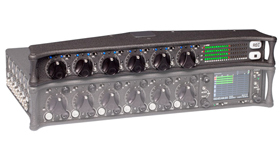 The 688 takes the finest aspects of the acclaimed 633, 664, and 788T and creatively combines them with new technology into an unrivaled production audio tool. 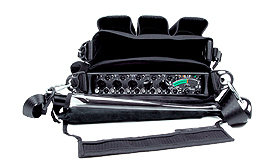 For a virtually cable free bag, attach this optional power distribution and six channel wireless system. 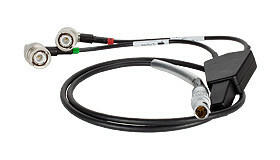 Its three slots provide powering and audio interconnection between the 688 and slot-in receivers plus fully integrated control and monitoring of SuperSlot™ compatible receivers. 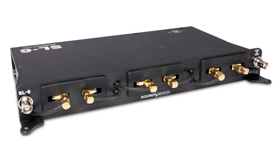 With its built-in RF signal distribution, the SL-6 reduces the need for multiple antenna while its NP1 battery slot, USB charging port, two 12 V isolated outputs, and two non-isolated direct battery outputs provide powering for peripheral devices. Read more about the SL-6. 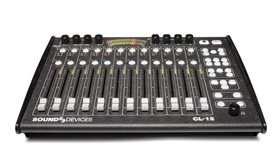 This optional input controller attaches to the bottom of the 688 and adds six full-sized tactile fader control of channels 7-12, sunlight-viewable LED metering and big, back-lit record and stop controls. 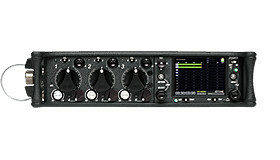 When the CL-6 is attached to a 688, the 688’s mini-faders, originally assigned as faders for 7-12, switch to trim controls.